Robert J. Shiller was one of the three people awarded The Sveriges Riksbank Prize in Economic Sciences in Memory of Alfred Nobel 2013 “for their empirical analysis of asset prices”. The other two recipients of the Nobel Prize for economics 2013 were Eugene F. Fama and Lars Peter Hansen. Since reading about this award I keep noticing Shiller’s research. 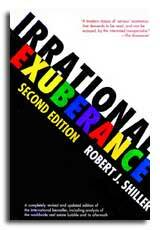 Shiller, R.J. (2005) Irrational Exuberence (2nd edition) Princeton University Press is an international bestseller. It draws out the psychological origins of volatility in financial markets – the first edition concentrating on the technology bubble of the late 1990’s and the second adding the US housing market boom that precipitated the recent recession. There is a website www.irrationalexuberance.com that provides information relating to the book, which is of course available in the University of Manchester Library (Library Search). The Yale university site has “Online Data Robert Shiller” that gives access to data on investor attitudes, US stock market data from 1871, and historic housing market data. Robert Shiller and Karl Case are the original developers of the S&P/Case-Shiller Home Price Indices that are now available from Standard & Poors (S&P). Finally, Robert Shiller is mentioned in the blog post A good year ends, but what’s next for stocks? (Musings on Markets, 2 January 2014) that describes a variety of approaches to estimating whether the US stock market is over valued. “Private Empire: ExxonMobil and American Power” by Steve Coll has won the prestigious Financial Times and Goldman Sachs Business Book of the Year Award for 2012. The book The Essential Financial Toolkit: everything you always wanted to know about finance but were afraid to ask by Javier Estrada of IESE Business School, Barcelona, Spain is noteworthy because it is written with executive MBA participants in mind. 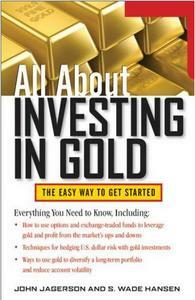 The book aims to bring those without training in finance up to speed in essential topics. To paraphrase the book’s preface the books 10 chapters aim to be: short, engaging, easy to read, illustrated with real data, and to answer many of the questions executives would ask. The book aims to cover most essential topics: mean returns, volatility, correlation, beta, P/Es, yields, NPV (Net Present Value) and IRR (Internal Rate of Return). There is also an appendix of useful Excel Commands. Essential Financial Toolkit on Javier Estrada’s web pages. Two new titles have been added to the MBS Eddie Davies Library book stock. 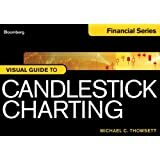 ‘Bloomberg visual guide to candlestick charting’ [2012/374 pages] and ‘Bloomberg visual guide to municipal bonds’ [2012/192 pages]. Attractive and easy to use layout means information can be located quickly. For example, use of ‘KEYPOINT’ and ‘SMART INVESTOR TIP’ sections, colour coded, with succinct, helpful information. Extensive use of graphics (pie/bar charts, tables), bullet points combined with different sized text (headings, main body) promote ease of use. Within Appendix B at the rear of ‘Bloomberg visual guide to municipal bonds’ there is a Bloomberg Functionality Cheat Sheet, which lists commonly used functions for this area. For example, ‘TOP MUN’ is a function to display Top Municipal Market News. These books should prove useful when using Bloomberg Professional, in the newly opened Bloomberg Suite within the Eddie Davies Library (for use by current students and staff of the University of Manchester). Implementing Models of Financial Derivatives – Wiley Finance Series*. Implementing Models of Financial Derivatives [2011/674 pages] is a new title which has been added to the MBS Eddie Davies Library book stock. This book is comprehensive with a summary and exercises to test comprehension at the end of each of the 31 chapters. These are in turn organised into 8 Parts with appendices at the rear [Part 1: A Procedural Monte Carlo Method in VBA. Part 2: Objects and Polymorphism. Part 3: Using Files with VBA. Part 4: Polymorphic Factories in VBA. Part 5: Performance Issues in VBA. Part 6: Variance Reduction in the Monte Carlo Method. Part 7: The Monte Carlo Method: Convergence and Bias. Part 8: Valuing American Options by Simulation]. 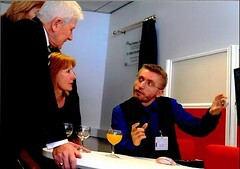 The content is highly technical, with many formulas and references to computer programs for the models being examined. Diagrams are primarily flow charts and screen shots of computer program listings, reflecting the complex technical nature of the subject area. New trading systems and methods. Simulation and optimization in finance. The handbook of convertible bonds. An introduction to algorithmic trading. Where can I find books authored by MBS faculty? Engelen, E., Erturk, I., Froud, J., Leaver, A., Moran, M. and Williams, K. (2011) After The Great Complacence: Financial Crisis and the Politics of Reform. Oxford: Oxford University Press. We have just received delivery of a number of titles from McGraw Hill’s “All about” Finance series, which are now available to borrow from the Eddie Davies & Precinct libraries. Though targeted primarily at investors these books provide clear and easy to understand introductions to a variety of hot investment topics. As an example the book about Derivatives focuses on: The various derivative contracts (including forwards, futures, swaps and options); Pricing methods and mathematics for determining fair value and Hedging Strategies for managing and reducing investment risk. 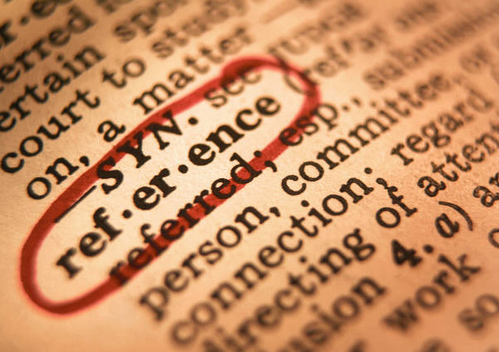 The titles of the books now available to borrow are given below – You can click on the links provided to check current availability of the individual titles.